Strange lights are seen over the vast plains south from Rann of Kutch in Gujarat, India. These are the weird Chir Batti – "ghost lights". It is hard to tell whether this landmark is meteorological phenomenon or something else. Marshy, desolate wetlands – Banni grasslands – rise just a few meters above the sea level – although the sea is some 80 km far from here. Earlier the giant Indus River was flowing in the plains of Rann of Kutch – but after the great earthquake of 1816 the river changed its route and moved 100 km to the west. Several rivers have deposited here thick sediments over many thousands of years. Soil here is salty and cannot sustain rich vegetation – thus the area is without trees, plant cover is sparse. In the grasslands are located several lagoons. Although the vegetation is sparse, the area is rich with life – numerous rare birds and animals. Over the last decades, Banni grasslands gradually turn into a destination for ecotourists. 100 km to the east there are the ruins of the ancient Dholavira – a metropolis of Indus Valley Civilization, occupied 4,500 years ago. If you happen to be there, try the beautiful Hodka resort created by the indigenous people of region – amazing and beautiful round mud huts characteristic of local unique culture of Maldharis. Chir Batti phenomenon starts in the darkness, reportedly only after 8 PM. Several reports about sightings come from the surroundings of the extinct Kiro (Keero, Khiero) volcano west from Charri Dand lagoon but there are reports about the sighting of 4 lights to the northeast from the lagoon in the 23rd January 2010. It is possible that the surroundings of Kiro get mentioned more often because it is a comparatively popular spot for the search of fossils – Jurassic ammonites and belemnites. After birdwatching around Charri Dand visitors tend to stay in the surroundings of Kiro until the darkness. Chir Batti are round or pear-shaped balls of fire, glowing like mercury lamps. Their color is white, blue, red, also yellow. Balls of light are floating above the ground, in 0.6 – 3 m height. Sometimes they are moving around slowly, sometimes – fast as arrows. Phenomenon continues at least for several minutes. Sometimes is seen one ball of light, sometimes – more (reported 7 balls of light). Sometimes one ball divides into two. Especially weird is the interaction of lights with visitors. If one walks away, Chir Batti happens to follow him. Around Kiro hill, they may follow up to the nearby Fulay village. But it is never heard that balls of light have done any harm. There happens another thing – if one decides to follow the ball, the light moves away and the searcher gradually gets away from the road into salt flats or thorny thickets. There have been attempts to take pictures or movies of Chir Batti but thus far – without success. "Chir Batti" in the local Kutcchi – Sindhi language means "ghost light". Local people have been observing this phenomenon since olden times and are convinced that these are ghosts. Little was heard about this phenomenon outside this remote area until recent times. As Rann of Kutch and Banni grasslands gained recognition as an important breeding location of rare birds and animals, here came biologists and ecologists and a bit later – nature-loving tourists too. One of the local long-time biologists – Jugal Tiwari – is the most often cited observer of Chir Batti phenomenon. He says that has seen the lights more than 100 times. His team was setting out bird traps in night time and was distracted by these weird lights many times. Phenomenon, of course, is well known also to soldiers of Indian Border Security Force who patrol the area in the night time – they simply have to know what lights appear here in the night time. Some consider that the lights somehow are caused by militaries themselves but eyewitnesses deny it. Banni grasslands by far is not the only location where such phenomenon – sometimes called "Earth lights" – is observed. Of course, one explanation could be igneous gases. For thousands of years Indus has deposited here millions of tons of organic sediments and it might be logical to assume that methane and related gases are seeping through the ground and somehow ignited. But in such case there would not be observed well-delimited balls of powerful light floating close to the ground for several minutes – such ignitions of methane most likely would be barely visible and, possibly, formed like torchlights. It seems – there is no scientific exploration yet for this phenomenon. Naga fireballs / Image from Tourism Authority of Thailand. Hessdalen lights in Norway are balls of light often seen floating in Hessdalen valley. This phenomenon has been researched since 1983 but no explanation has been found thus far. Naga fireballs of Mekong are seen above Mekong on the border between Thailand and Laos. 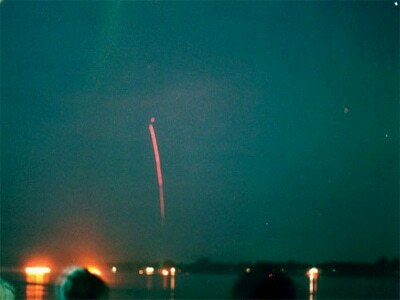 These are red balls of light rising up from the waters of Mekong, especially frequent at full moon in October. There is no convincing explanation of these lights. Paasselkä devils in Finland are light balls of unexplained origin. They are observed over the surface of Lake Paasselkä for at least 100 years. 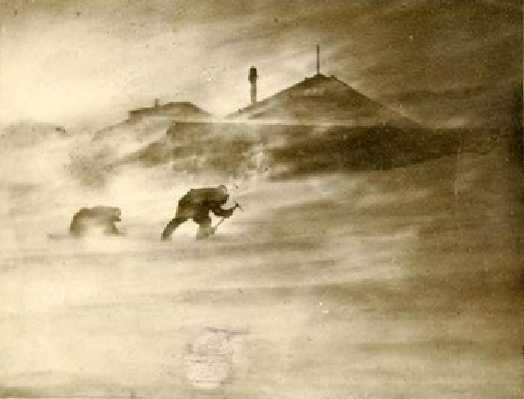 Storm at Mawson Hut / Frank Hurley, 1911-1914, State Library of New South Wales. Unusual weather conditions can happen in any place of the world. 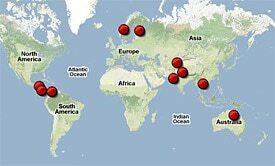 But there are locations where unusual meteorological phenomena are observed frequently – even every day. There are not too many landmarks in this category – but several of them are highly unusual and unique. This book describes the desert ecosystems of the three desert regions of India and their peripheral tracts. These are the Thar desert; Rann of Kutch and the Cold desert regions. It includes forest and grassland ecosystems; fauna and protected areas. 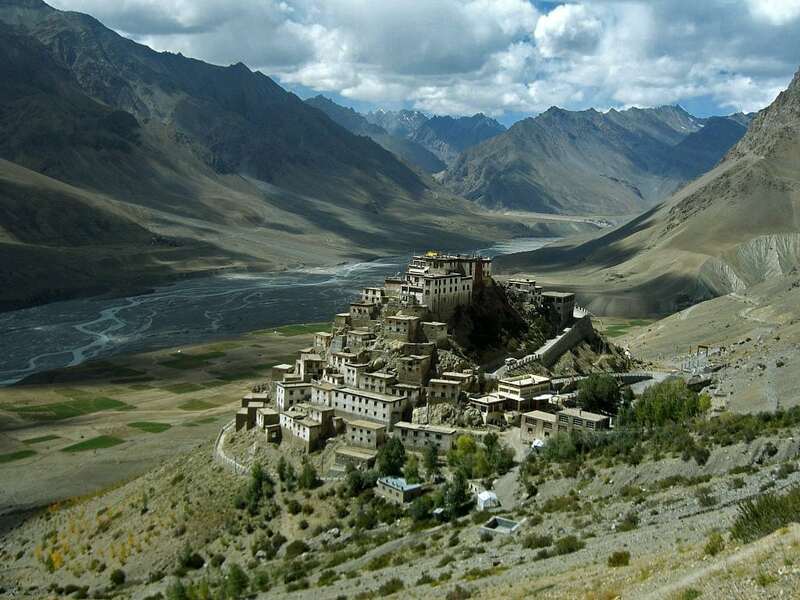 Travellers in ancient times marvelled at seven man-made wonders located in various countries bordering on the Mediterranean. Over hundreds of years since then, civilisations have risen and declined, the world has been built and rebuilt, and many more works of human genius lie scattered across geographies and eras. Exploration and discovery has revealed more of nature’s wonders too, that stretch and humble human imagination. India, with an area of well over three million square kilometres, is a continent within a continent.